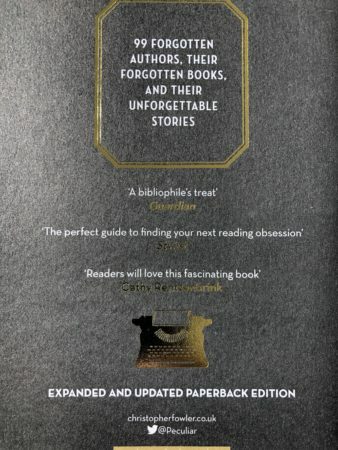 When ‘The Book of Forgotten Authors’ was heading to paperback, the editor and I realised that some changes would have to be made from the hardback; a year would have passed, and some of the authors were starting to get republished. Occasionally this was a direct consequence of the new attention the author was receiving, sometimes we merely added to a growing awareness of that writer, and sometimes the timing was just lucky. There was also growing interest, partly nostalgic, in the books of our childhood and our parents’ childhoods. Smart reprints of Margery Allingham started turning up, an American edition of Dino Buzzati arrived, and a handsome five-volume set of Margaret Millar’s works appeared. Graham Joyce and Edmund Crispin were also republished afresh, along with the American Gothic novels of Michael McDowell (one of which I wrote a foreword for), and other novels arrived as ebooks. But many remained stubbornly off the shelves. In the time leading to her demise, Polly Hope got her best book back into print by doing it herself; ‘Here (Away from it all)’ appeared both as an ebook and as a printed edition with her own specially designed cover. But there were disappointments. Sufi scholar Idries Shah reappeared in a complete set, but the delightful drawings of Mullah Nasruddin by Richard Williams that accompanied the fables are, I guess, no longer seen as appropriate. 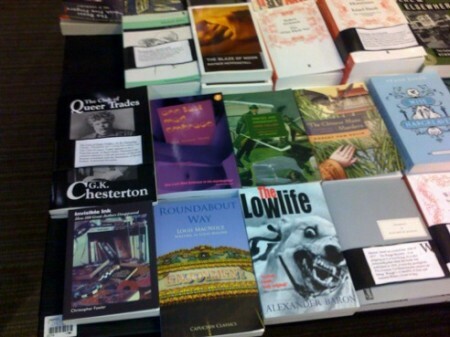 Like quite a few others, Keith Waterhouse has had one or two books cherry-picked for republication in different editions, making any collector’s life difficult, and some – especially the more disreputable authors – will probably now remain off the republication list for good, as some editors can’t see beyond the attenuated sensibilities of this era to a broader canon of fine writing that transcends topicality. The suggestion of William Melvin Kelley (see columns passim) came from my editor. His strange novel, ‘A Different Drummer’, in which black people in a southern state one day up and leave en masse, did not receive its due acclaim in his lifetime. His work has now been republished by Quercus to coincide with the paperback ‘Forgotten Authors’, and is receiving healthy publicity. I wrote a new section at the end of the paperback, and updated many of the entries to reflect the changes a year had wrought. This still leaves quite a few remaining authors in my gander-bag because we trimmed so many out of the original book. I sneaked quite a few into the essays that run between the biographies (I was determined to give as wide a platform to them as possible). So do we still have enough for a sequel? What has happened, of course, is that more once-popular writers have slipped away unnoticed, and so the new list is, incredibly, even longer than the original one. Will there be a sequel? It all depends on how well the revised paperback sells in a crowded marketplace. Perhaps the forgotten authors will find new fans this Christmas and be remembered once more – time will decide. Please imagine a suitable plug for the book here – ideal Christmas gift etc. I also have Peter Sellers voice in my head,as in Balham,Gateway to the South. 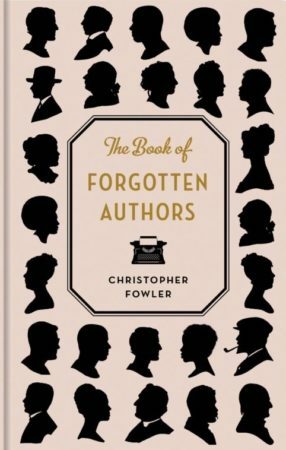 ‘Forgotten Authors’ -A book to remember……….. There really is a remarkable renaissance in small indie presses taking chances on forgotten authors well worth reprinting. More remarkable is the praiseworthy success of some of these reprint outfits like Valancourt Books, who I believe we’ve both worked for. The NY Times Books Classics and Penguin are — stunningly — even reprinting horror fiction! I do feel compelled to point out something. Margery Allingham had been in print in the US for years long before Forgotten Authors was published. Felony & Mayhem, a small indie press started by a bookseller who owned a store that specialized in mysteries, published all of the Campion mystery novels between 2006 and 2010. I couldn’t escape seeing them back when I frequented the dozens of real bookstores in Chicago we had back then. What does it take to revive publisher’s interest in a forgotten, or at least out of print, author? Four decades ago, the most wonderful young woman was researching Jack Kerouac. In those days, neither he nor his contemporaries of the Beat Generation were at all popular. ‘On the Road’ was generally available, but little else. To help out, I went in search of his books. In spite of contacting every bookseller I could find, for several volumes, I resorted to borrowing from the University Library and photocopying. A few months later, the whole range of Kerouac’s works was appearing in shops, even the ones that had been completely unobtainable. Coincidence or a consequence of my numerous requests? If the latter, would it work today? The book selling business has changed, ‘streamlined,’ so much that I doubt it. Back in the early 1990s I wanted to get out of print “Freddy” books by Walter R. Brooks to read to my kids. I spent time at a conference in Washington D.C. to get a Library of Congress ID and photocopied two of them. Then fans got Overlook Press to reprint all 26. They have a Friends of Freddy conference every other year in upstate N.Y. Maybe fans of other now remembered authors will have similar luck! Brooke: if that doesn’t get purchasers nothing will. I’s as good as “banned in Boston”. Bruce: I read those Freddy books, but I wonder how understandable they are today. I must see if we have copies in our library. Mazo de la Roche! “White oaks of Jalna!” woo! woo!